Everyone deserves a dental practice that is going to spend the time and energy in order to understand each patient’s unique conditions, needs, and concerns. Here at Sunset Plaza Dental, we believe that it is our responsibility to maintain an atmosphere that is going to put our patients at ease and allow them to leave our office with a smile on their face. If you are ready to receive services from a world-class West Hollywood cosmetic dentist, we are only a phone call away. There is a wide array of reasons that patients are going to avoid their appointments. Many people believe that they may not have the time for regular checkups while others may have developed anxiety over dental treatments. This is why we believe it is important for our cosmetic dentist in West Hollywood to only provide the most advanced, effective, quick, and pain-free options to all of our patients. For anyone that has begun to develop anxiety over their treatments or has a phobia of dental procedures, we offer a full line of sedation dentistry services. Our West Hollywood cosmetic dentist utilizes an experienced anesthesiologist that will work closely with you to find the correct options for your particular needs and concerns, including nitrous oxide and intravenous sedation. These choices are often the perfect solutions to those patients that suffer from anxiety, have a low threshold for pain, or have a sensitive gag reflex that will prevent certain services. When patients are in need of a West Hollywood dentist in order to restore their smile or improve their appearance, our West Hollywood cosmetic dentist can provide a full range of aesthetic services to quickly and painlessly improve one’s smile. 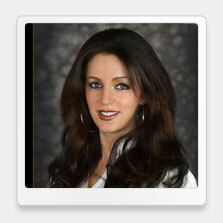 Dr. Ghasri has had extensive training and can offer treatments such as chairside whitening, Invisalign aligners, veneers, and more. 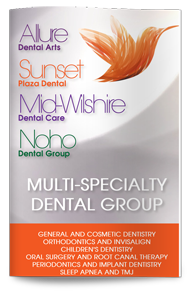 If you are ready to find a West Hollywood cosmetic dentist that is going to transform your smile, contact Sunset Plaza dental today. Our friendly staff and team of experienced and multi-faceted dentists are dedicated to providing all patients with the smile of their dreams and oral health that they can carry with them throughout their life.